Bridgnorth Rowing Club started it’s 2018 racing season at Worcester on Sat 17th Feb, at their 6000m time trial, raced between the two weirs. In the morning division race, the Bridgnorth Ladies eight put in a strong performance to finish 3rd overall fastest women’s eight, behind two good eight’s from Bristol City rowing club. Also in the morning race, the men’s senior coxless four showed that their winter training is paying off, by putting in the fastest time for their category. In the afternoon division race, over the same course, Bridgnorth’s Masters four, Alan Champion, Tim Lunel, Rob Graham, Paul Wallis and coxed by Jennifer Williams, were also dominant in their event, beating several other masters crews to take the trophy, the men’s senior coxless four also raced again with one crew change ,this time finishing 2nd. 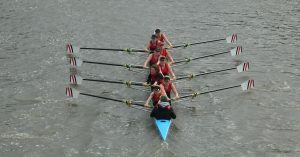 Another Bridgnorth women’s crew also raced, this time a IM3 coxed four who are starting to gel together on the water, particularly with new member Meg Bond competing in her first event. 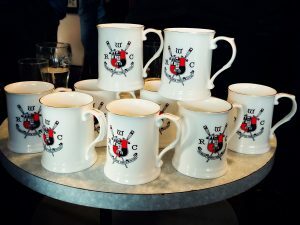 The Rowing club are organising two events this year to attract new people to join the club, and take up the sport, the first is a fun regatta on April 14th, open to any groups of four people, men, women , mixed , who will be taught the basics of rowing by the club’s coaches and have a day racing each other. If you are interested in taking part, head over to our Fun Regatta page.